The most important tip is to always have a private home inspection this is your opportunity to review the house with the inpsector in detail and go over every detail of the home. The second most important tip is to even do a home inspection on a brand new construction. We have seen circumstances that the builder has inadvertently missed installing the insulation in a attic area, or a loose connection in a bathroom pipe was found before it caused major damage to the brand new home. When interviewing a home inspector, ask the inspector what type of report format he or she provides. 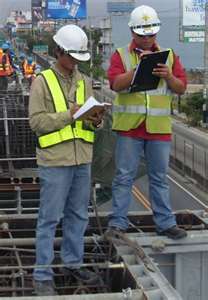 There are many styles of reports used by property inspectors, including the checklist, computer generated using inspection programs, and the narrative style many today will provide a conbination of the styles. 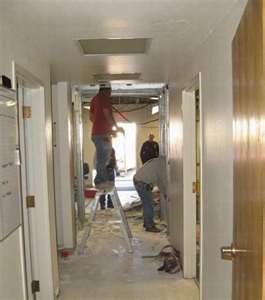 Some reports are delivered on site and some may take as long as 4 - 6 days for delivery. All reporting systems have pros and cons. As mentioned before when you walk thru with the inspector byt the time he is done that day, you will have a good understanding of the critical issues you may be dealing with or the fact that everything looks good. At the end of the inspection your inspector may provide a summary with a question and answer period. Use this opportunity to ask questions regarding terms or conditions that you may not be familiar with. A good inspector should be able to explain the answers to your questions. If for some reason a question cannot be answered at the time of the inspection, the inspector should research the question and obtain the answer for you. For instance, if the inspector''s report states that the concrete foundation has common cracks, be sure to ask, "Why are they common?" The answer you should receive will be along these lines: common cracks are usually due to normal concrete curing and or shrinkage. The inspector''s knowledge and experience is how the size and characteristics of the cracking is determined. Read the report completely and understand the condition of the home you are about to purchase. If you have any questions contact the inspector for clarfication and to make sure that you fully understand. After all, it is most likely one of the largest investments you will ever make.